Step 1. 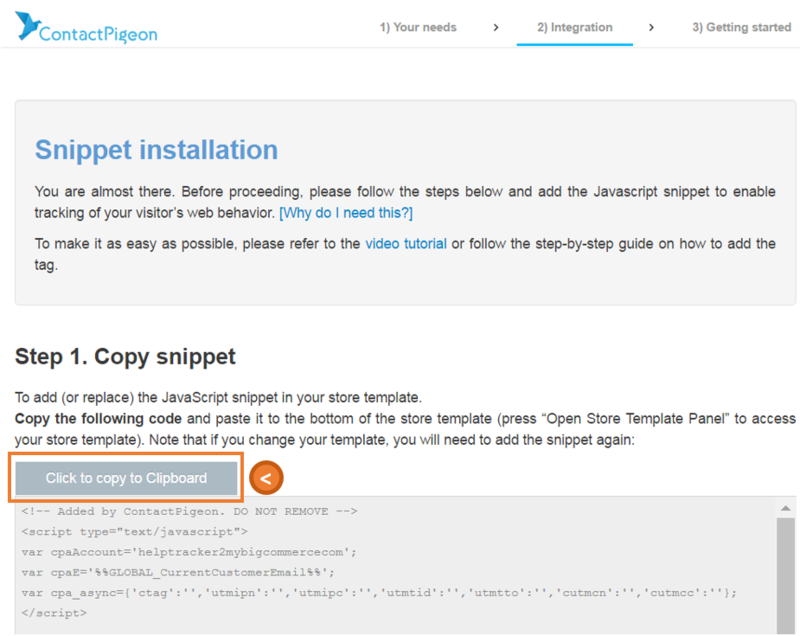 Follow the onboarding steps to the Snippet Installation page after installing ContactPigeon app. Step 2. Copy the entire code snippet by clicking on "Click to copy to Clipboard". Alternatively, you can copy and paste the entire code provided on page. Step 3. 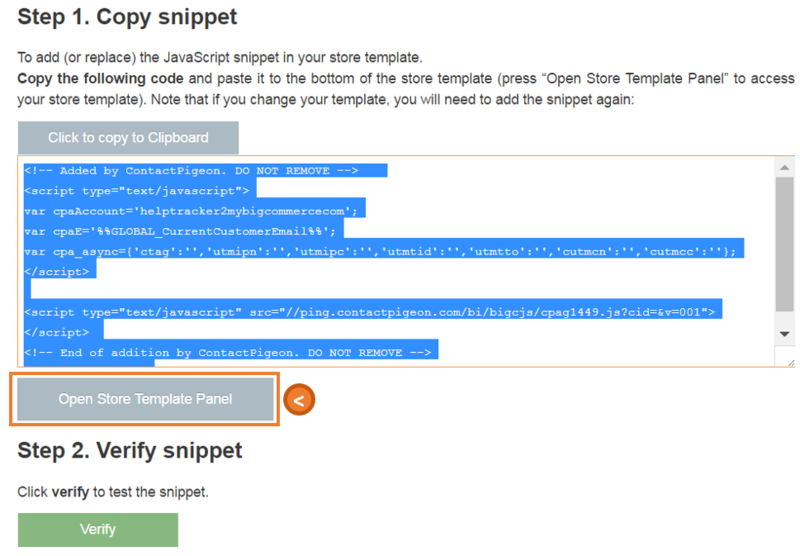 Click "Open Store Template Panel" to access the footer template (footer.html) of your e-store in a separate window. Step 4. 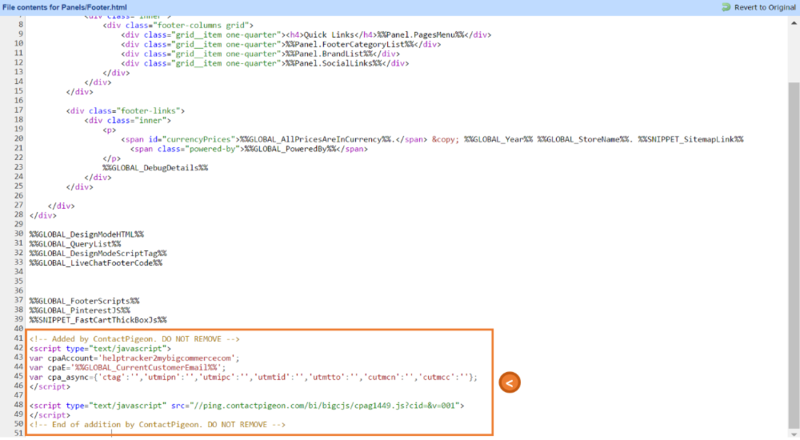 Scroll towards the bottom of the footer page, and paste (CTRL+V) the code to the end of the document. Click on "Save" to save the snippet, and Close the window. Step 5. Return to the snippet page earlier, and click on "Verify" to confirm if code has been successfully added. If you need any assistance with adding the code snippet, please do not hesitate to contact us at help@contactpigeon.com.